MySQL Document Store allows developers to work with SQL relational tables and schema-less JSON collections. To make that possible MySQL has created the X Dev API which puts a strong focus on CRUD by providing a fluent API allowing you to work with JSON documents in a natural way. The X Protocol is a highly extensible and is optimized for CRUD as well as SQL API operations. MySQL Document store gives users maximum flexibility developing traditional SQL relational applications and NoSQL schema-free document database applications. 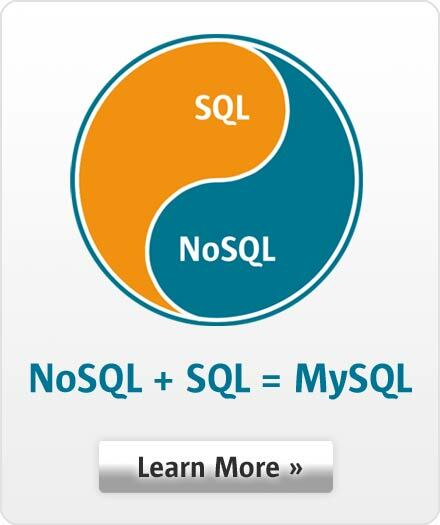 This eliminates the need for a separate NoSQL document database. Developers can mix and match relational data and JSON documents in the same database as well as the same application. For example, both data models can be queried in the same application and results can be in table, tabular or JSON formats. The MySQL Document Store provides multi-document transaction support and full ACID compliance for schema-less JSON documents. With InnoDB as the storage engine behind the Document Store, you get the same data guarantees and performance advantages as you do for relational data. This guarantees users get data reliability with complete data consistency. This also makes the MySQL Document Store easy to manage. MySQL Document Store utilizes all the advantages of MySQL Group Replication and InnoDB Cluster to scale out applications and achieve high availability. Documents are replicated across all members of the high availability group and transactions are committed in sync across masters. Any master can take over from another master if one fails, without down time. Just as Document Store leverages Group Replication and InnoDB Cluster, it also works transparently with MySQL Enterprise Backup. Users can perform full, incremental and partial backups of documents. All document data is consistent to the point in time when the backups are completed. Users also have the flexibility to perform Point in Time recovery to recover to a specific transaction using the MySQL binlog. MySQL and the Document Store are secure by default. Plus all the advanced security features of MySQL Enterprise Edition such as Transparent Data Encryption (TDE), auditing, advanced authentication and firewall help to maximize security. MySQL Document Store gives you the simplicity of performing CRUD operations as well as the power of SQL to extract data from JSON documents. The power of SQL, and all the popular reporting and analytics tools are available. MySQL Document Store provides simple to use, fluent CRUD APIs supported across many languages so that organizations can develop document based applications using their language of choice. Native JSON Document Storage - MySQL provides a native JSON datatype is efficiently stored in binary with the ability to create virtual columns that can be indexed. JSON Documents are automatically validated. X Plugin - The X Plugin enables MySQL to use the X Protocol and uses Connectors and the Shell to act as clients to the server. X Protocol - The X Protocol is a new client protocol based on top of the Protobuf library, and works for both, CRUD and SQL operations. X DevAPI - The X DevAPI is a new, modern, async developer API for CRUD and SQL operations on top of X Protocol. It introduces Collections as new Schema objects. Documents are stored in Collections and have their dedicated CRUD operation set. MySQL Connectors - The following MySQL Connectors support the X Protocol and enable you to use X DevAPI in your chosen language.